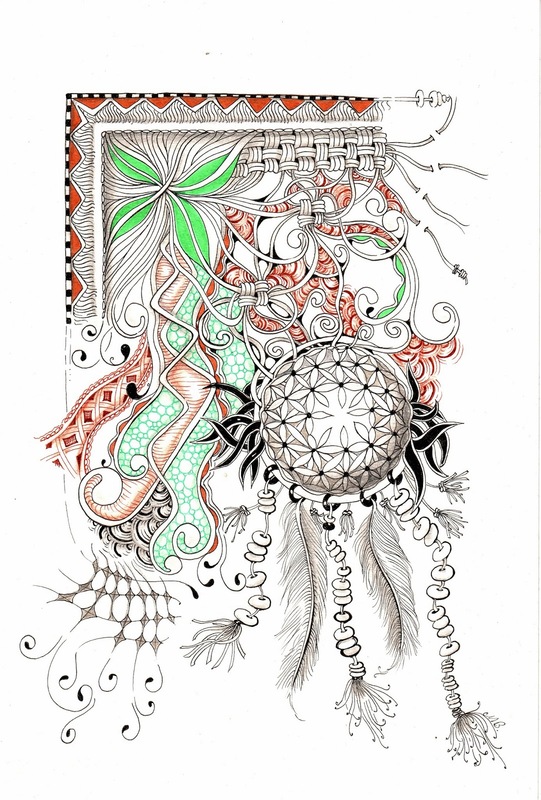 If you are a bit tentative about creating a larger piece of art or as we say Zentangle Inspired Art (ZIA). Start with ideas from a tile that you particularly like and build on it. 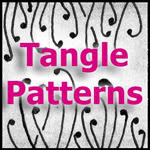 I find that tangles fall into place and one thing leads to another. Here is my tile and A4 ZIA, next week I will post the next stage.....BIGGER!! Wow! Love the expansion. Can't wait to see what comes next. 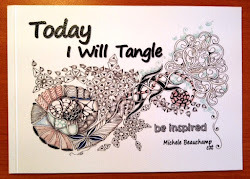 Like the intermingling of tangles. Great idea to expand on a favorite tile! Beautiful ZIA!! I had a colored tangle that I loved - about a 5x5 and I wanted to duplicate it on canvas so I did the expansion to the 8x10 size and was very happy with it. Not as hard as it might sound. Wow, tonight I'm guiding a group of six students who are doing their first "larger" piece as a culmination of this three class series. 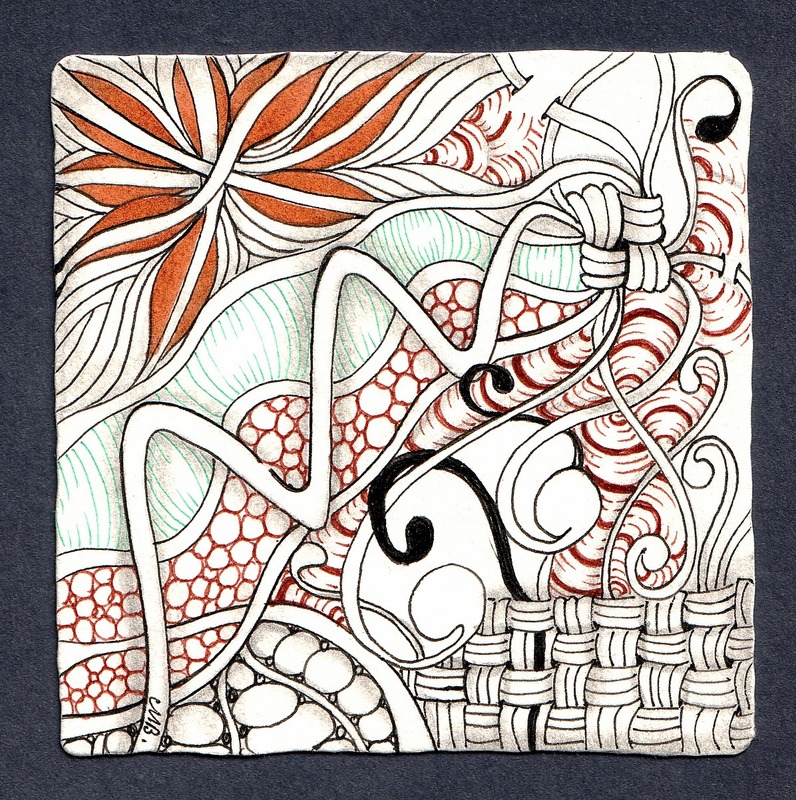 Starting from a small tile you like is precisely one of the ideas I love as a starting point. It's what I did with my first "larger" tile. I LOVE your examples here and will share them tonight. As always, thank you so much!